Make up your mind, are you a pig or an owl?! Stu late to ask questions. Open the door B-4 I freeze to death! Ken I come in or do I have to climb through the window? Many thanks for this post, Andreea! I really enjoyed these jokes and they made me laugh, since I wasn’t in a very good mood :-). I love many of them, so it’s difficult to have a top of preferences. 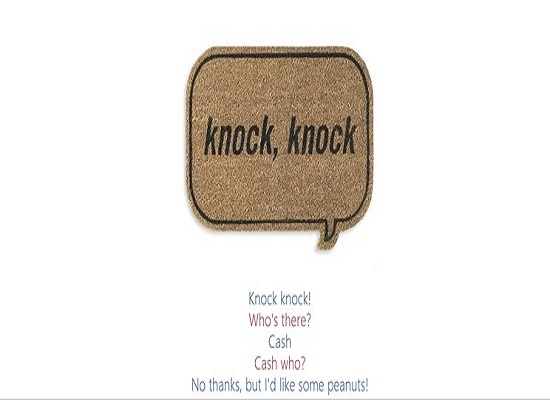 However, I don’t think I have seen this one: “Knock knock: Who’s there? Honey bee. Honey bee who? Honey bee a dear and get me a soda”. Maybe I was wrong and it’s on the list, but it is still good 🙂 Thanks!